On Friday, while in Avignon, we paid a courtesy call on the Pope at his “chateau” here. Unfortunately, we missed him by about 700 years. We decided to take a tour anyway. This was the home of a series of 14th Century Popes (Benedict XII, Innocent VI, etc.) 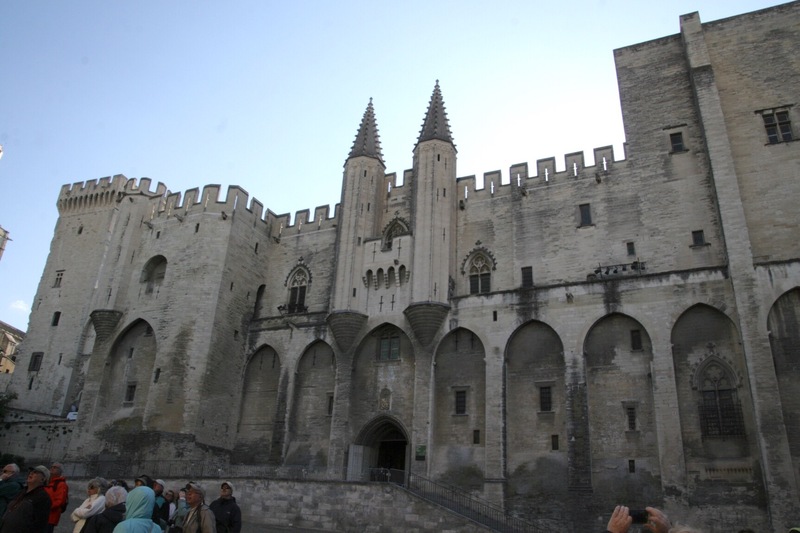 who decided to move to Avignon when the Medicis made things a bit too dangerous for Popes in Italy. Barbara Tuchman recounts this in great detail in A Distant Mirror, her excellent historical work about 14th Century France and the Hundred Years War. 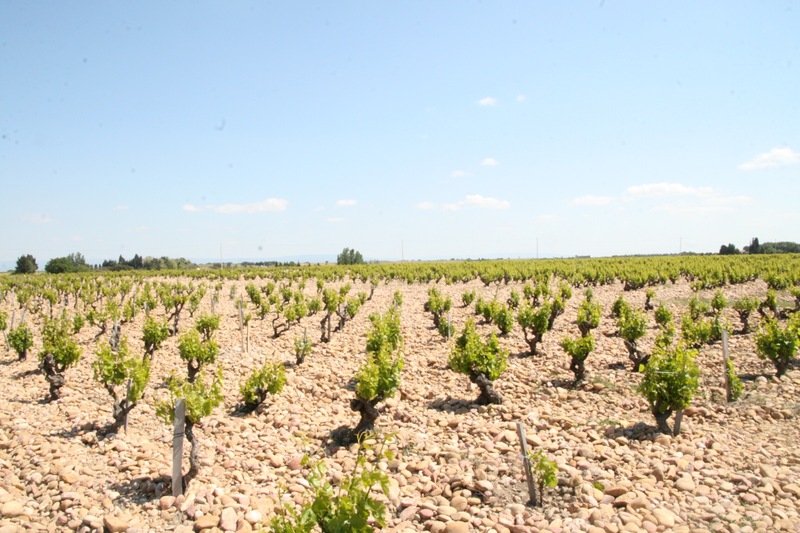 Since the Pope was not available, we decided to head out to the surrounding countryside and visit the famous Chateauneuf Du Pape wine region to sample some of his wine. We learned that there are 321 wineries in the region, each with its own unique approach to blending a selection of the 13 different grapes that can comprise this famous varietal. Chateauneuf Du Pape is thus really more a style of wine, and a region, than a specific grape. While the blending is at the discretion of the winery, the growing and production process is very strictly regulated by French law: no irrigation, no mechanical harvesting, for instance. And the grapes are grown in extremely rocky soil. As you can see in this photo, the vines are planted in soil that is completely covered with rock. This rock was deposited here millennia ago when the Rhone River receded to its current banks, and lends the wine its distinctive terroir. We had the opportunity to taste three different wines while visiting one of the wineries in the region (two reds and a white). While enjoyable, at 35 to 65 Euros per bottle we didn’t enjoy it that much. 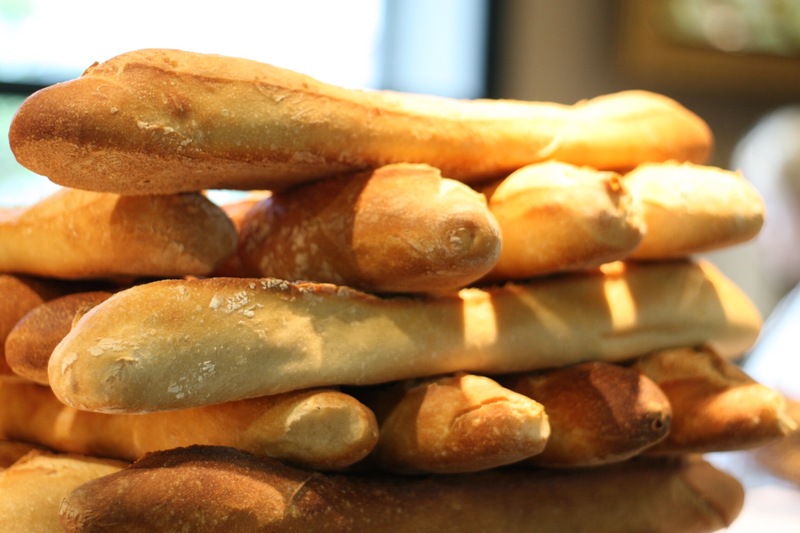 We opted instead for a loaf of bread from a local produce market and a jug of vin ordinaire.